Can you feel the Christmas air already? Hmmmm, actually with all the decorations in the mall already, Christmas songs being played over the radio and Tv shows showcasing Christmas stuff, how can we not feel it eh? Would you believe my sis JOYD has already wrapped some of her Christmas gifts ( I hope mine is already wrapped too hehehe !!).? Me, i still have to think about what gifts will I give so I have not started mine yet. Anyway, don't you just love those cookies that your friends and relatives are giving you? 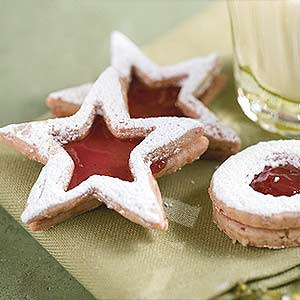 With Christmas coming, i guess it's pretty unique to share your freshly baked home made cookies and wrapped it in a special box or canisters. I don't have a talent in baking so it'll be a challenge for me. Here are some yummy cookie recipes just in case you need one and want to bake for your kids and family.